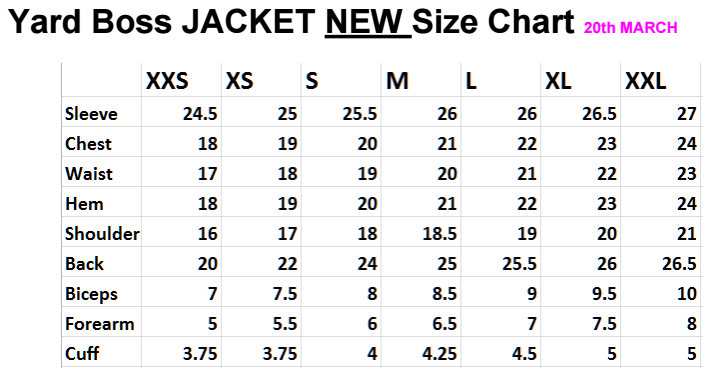 (02-02-2015, 10:07 AM)SJC Wrote: Sure well what we need to do is work on a size chart that covers (as well as can be) people of all sizes. 186 cm, 41" chest, 32" waist, shoulders 19" and sleeves 27.5". I think it would be great to have slim/tall sizes as well and - very important - much more seam allowance than normally used in modern clothing to make sure a good alterations tailor can get the fit right. Or a MTM option. Considering my monkey arms RTW hardly ever works for me. The vintage suits I have were all bespoke or MTM. Robert Wadlow - the world's tallest man in the 1930's suffered so greatly from not being able to get size 37 shoes that he went to work for a shoe company and became its greatest salesman. http://en.wikipedia.org/wiki/Robert_Wadl...mpared.jpg the most important thing for me is that you guys get to wear well fitting clothes, the exciting thing about what we are doing here is discussing these very needs, here. I like the look of this one, but would prefer a more subtle thread. Will it be coming back and will there be a choice of denim and also thread? 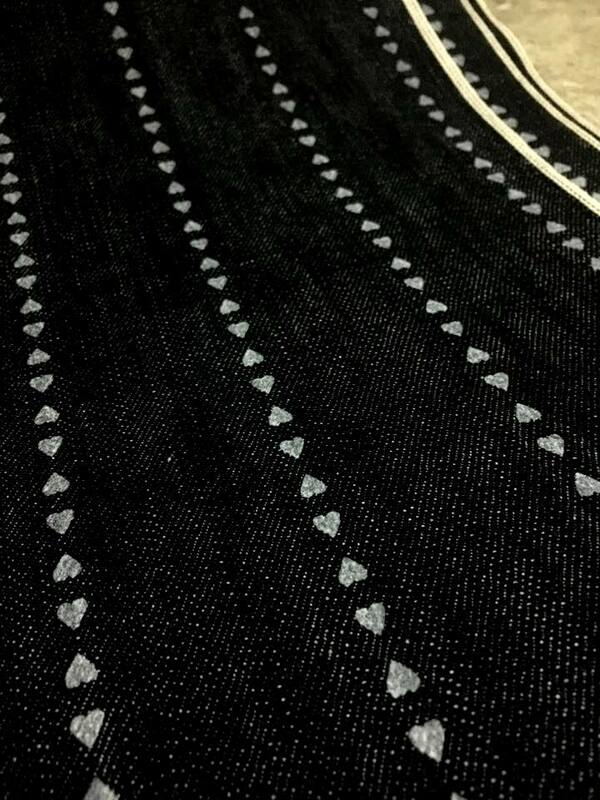 (03-10-2015, 07:01 PM)wdw Wrote: I like the look of this one, but would prefer a more subtle thread. I'm with you on the thread. I questioned Simon about this when the pics first appeared, and I was assured that the stitches are NOT so bright in real life. Even olive green or khaki or something, but yellow's a step too far for me. I'd also like a darker denim, or even other colours. I like the patch pockets, as they're practical, and the belt is a nice touch. Samples will be due in for all denim in about 2-3 weeks. Here is what I see as a problem (for me, at least). Just because someone has a frame of a particular size - i.e shoulder width, chest measurement etc., does not mean they are a particular height. I am 5' 10" tall, and on the above scale, would require at least an L, based on the chest size. However, I know lots of thinner guys (and some fatter ones) who are exactly the same height as me. So why the addition of an inch in length on each chest size? A vintage Denim jacket that Simon and I were discussing via PM has a chest size close to the size XL above, but has a back length of 23"
Surely length should be accounted for by making "long" versions" much as the likes of Lee and Levi did, rather than making length dependant on chest size. I, for one, will NOT be able to buy one of the above sizes, because it will simply be too long. And before anyone asks, NO, I don't wear low rise jeans, or wear 'em with the crotch waving between my knees and my underwear showing. I wear vintage high-rise jeans, and thus need a vintage cut jacket to match them. I'm the opposite. I would probably take a M, but since I'm taller than MM I feel the 24" might be slightly too short for me. I'd love one at 25". A Tall option would be nice, but maybe not practical for a small production run. I in fact reduced an inch from the back length in each chest size MM. (05-11-2015, 03:42 PM)Spritle Wrote: I'm the opposite. I would probably take a M, but since I'm taller than MM I feel the 24" might be slightly too short for me. I'd love one at 25". You are taller, so you need a longer jacket. But you are slimmer, so you need a slim jacket. The length SHOULD NOT be dictated by the width. Hey I like a shorter jacket too. But I know some like longer. If I can get the factory to put longer arms on a narrower jacket, you know I will. If I can get them to put shorter arms on a wider jacket - I will. Don't sweat the little things fellas. Just ask. I always do what I can. For general comparisons here is a size chart from a mid-century classic. The Yard Boss was a 40's cut so a tad shorter. I think this size chart below is looking great for the Yard Boss. That Levi size chart is not vintage cut. Biggest size a 42, and long enough to cover low rise jeans.